Roomba revisions coming in September? 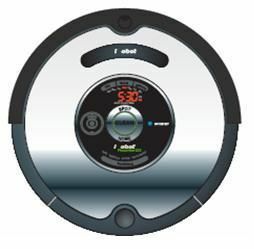 There's not much that gets us more excited than new cleaning bots -- yes, we're unabashed iRobot fanboys -- so we always want to be the first to know when a fresh product comes along (we did a little happy dance with our dog when the Roomba for Pets was announced earlier this month). Luckily, then, we caught wind of the linked thread on Roomba Review (your home for all things, um, Roomba), in which a purported insider delivers some details and pics of upcoming revisions to the Scheduler, Discovery, and Roomba Red models: the 560, 530, and 510 (whose supposed retail packaging is pictured above), respectively. New features are said to include a 'lighthouse (peripheral to indicate which room is cleaned)' and integrated display, with upgrades also coming in the form of a redesign (pictured after the break), easily-swappable parts (wheels, motors, etc. ), greatly improved battery life (1,500 hours versus the current 350, allegedly), and automatically-activated virtual walls. Pricing will range from CAD$300 to CAD$450 ($279 to $418), according to the RR member, so now we have to squirrel away at least that amount of dough along with however much more it's gonna cost to pick up those completely new bots we've been promised for the holidays.